Hello! 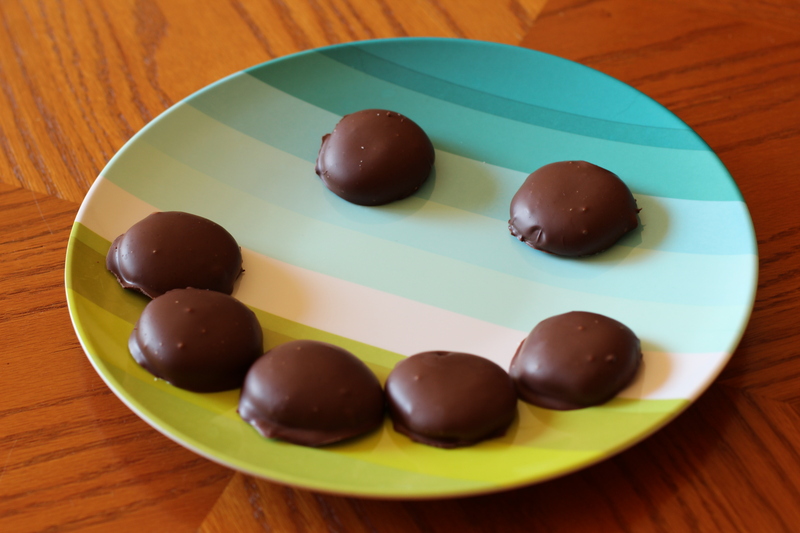 I have a fun treat for you today…homemade peppermint patties! These are minty, taste like the original (so I’m told), and are refreshing on a hot July afternoon. I think that these would also be festive and fun for a Christmas party, especially if they were dressed up with red and green sprinkles. 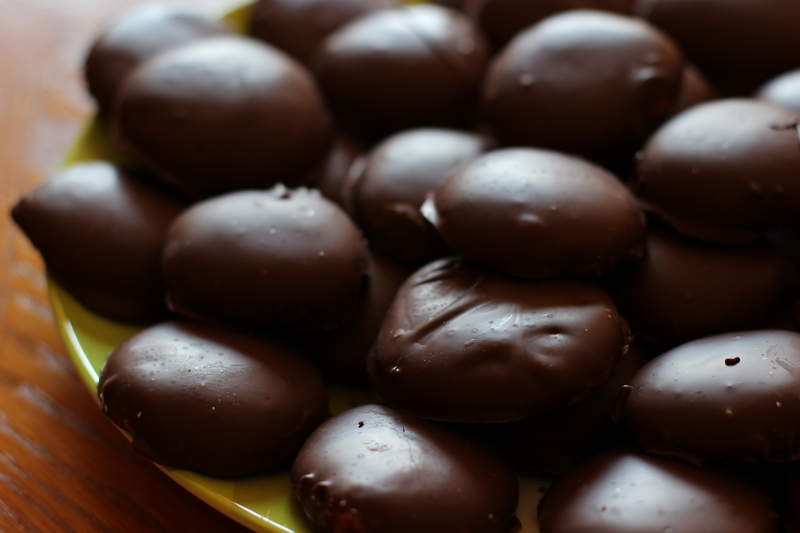 The peppermint patties are surprisingly easy to make. When I made them, though, they weren’t exactly fast. The recipe says these take a total time of thirty minutes, but it took me closer to an hour and a half. Of course, I didn’t finish these until after midnight, and I had spent my afternoon and evening making seven dozen triple chocolate cookies. I would have to say that I wasn’t moving at top speed. When I make these again, I’m sure it will go quite a bit faster. I’m always pretty slow-moving the first time I try a recipe. The recipe says to add two cups of powdered sugar at first and then add the rest in half-cup increments until the desired consistency is reached. I forgot to count how many cups of powdered sugar I ended up using (stupid of me! ), but the mixture was no longer sticky when I tried to roll it in a ball when I stopped adding sugar. It was quite a bit of sugar! All right, try these, let me know what you think, and have a good day! Posted on July 21, 2013 by rjoy19	• This entry was posted in Chocolate and tagged Homemade, Mint, Peppermint Patties, Powdered Sugar, Refreshing, Yummy. Bookmark the permalink.